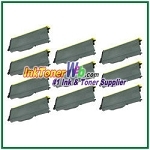 At InkTonerWeb.com, our Brother IntelliFAX 2820 premium quality toner cartridges & drum units have a One Year Guarantee. 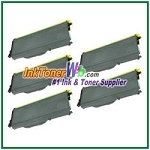 All Brother IntelliFAX 2820 compatible toner cartridges & drum units sold by InkTonerWeb.com are guaranteed to be of premium quality. 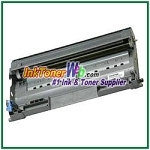 We have a one year warranty on our Brother IntelliFAX 2820 compatible toner cartridges & drum units. 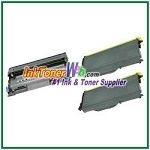 Brother IntelliFAX 2820 compatible toner cartridges & drum units are for use in Brother IntelliFAX 2820 printer. There is 1 color available: black. Their part numbers are TN350 (Black), DR350 (Drum). 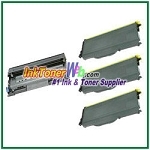 Brother IntelliFAX 2820 compatible toner cartridges & drum units from InkTonerWeb.com are manufactured in ISO-9001 factories. 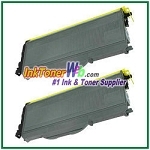 From empty toner cartridges selections, to parts replacements, to product quality examinations, every Brother IntelliFAX 2820 compatible toner cartridges & drum units are manufactured strictly under the ISO-9001 procedures, unlike other companies that sell Brother IntelliFAX 2820 compatible toner cartridges which are just simply refilled. 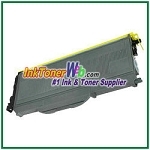 Our Brother IntelliFAX 2820 compatible toner cartridges & drum units are guaranteed to provide the same high print quality as the original brand name Brother IntelliFAX 2820 compatible toner cartridges & drum units . 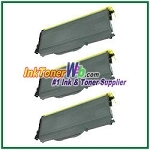 Purchase Brother IntelliFAX 2820 premium compatible toner cartridges & drum units from the #1 ink & toner supplier - InkTonerWeb.com. 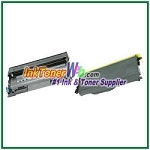 Your online shopping experience will be the most enjoyable. 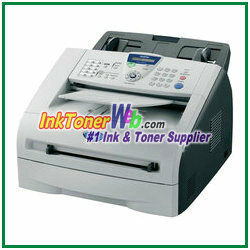 Order your Brother IntelliFAX 2820 compatible toner cartridges & drum units fast!